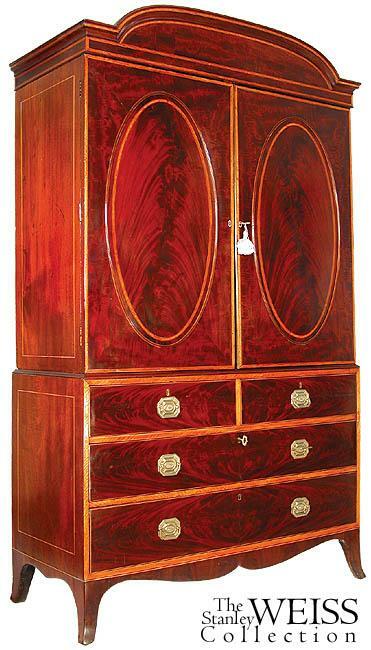 This armoire is in superb condition, and rests on its original solid French feet, which support highly figured drawers with satinwood banding, and an upper chest of magnificent oval panels within a satinwood border. Whereas many of these armoires have flat tops, this has a detachable arched pediment which gives a very complete and important image. 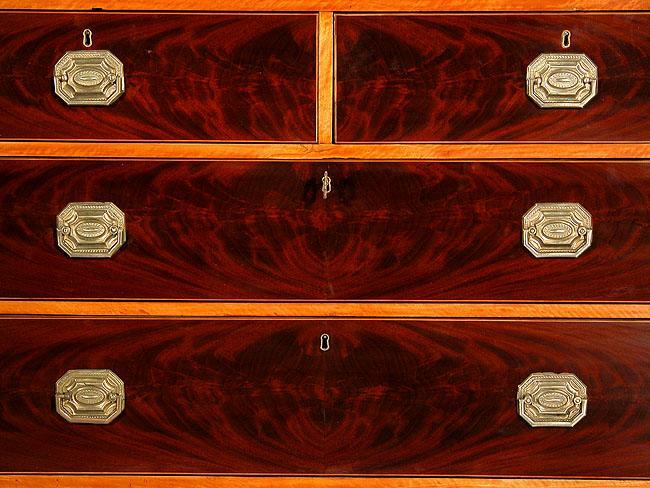 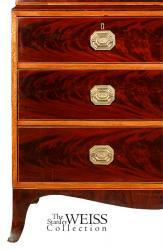 The chest retains its original pull-out shelves, and the solid mahogany sides have satinwood line inlay. 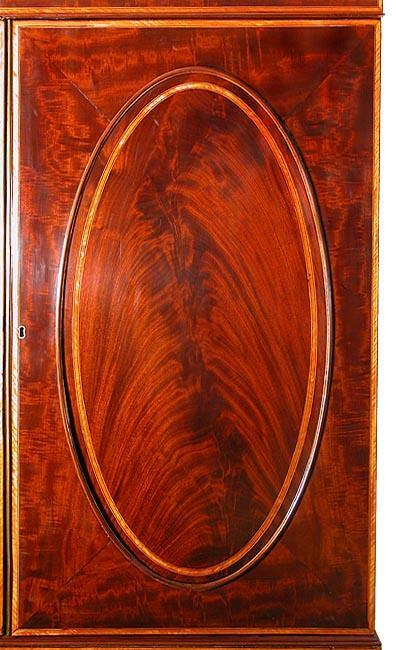 We have French polished this piece to bring out its very beautiful figured mahogany. 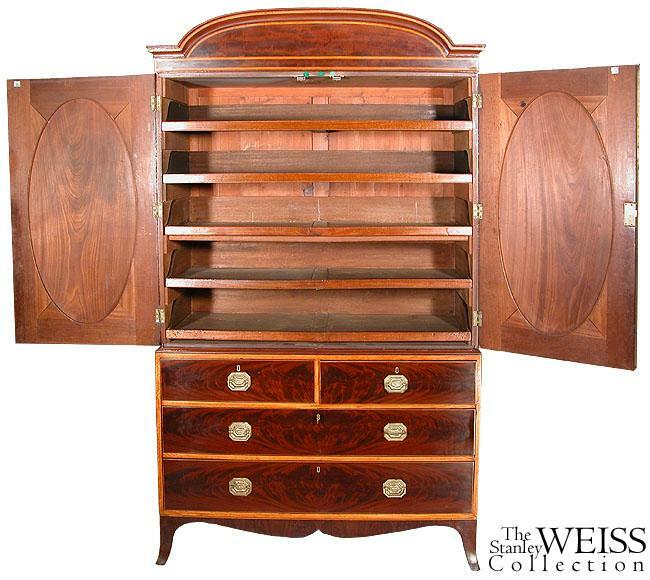 Linen presses were highly desired and they were made in varying qualities, and of course, vary in their price and value. 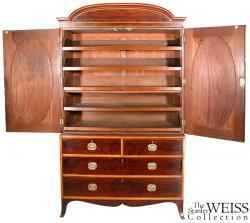 This is one of the finest we've handled, and it is in superb original condition. 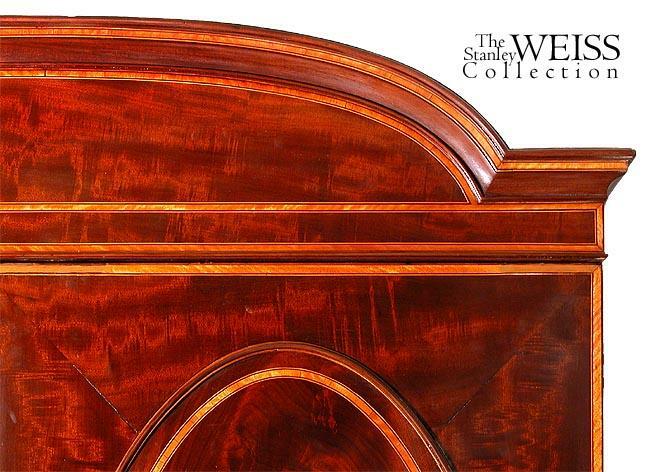 Height: 84 1/2 in. Width: 50 1/2 in. 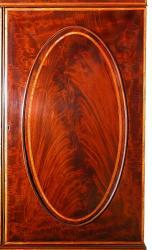 Depth: 22 3/4 in.